Debbie out in the Sleeping Frog Farm gardens. We’re pleased to welcome Jeff Meilander of Flagstaff and Debbie Weingarten of Benson/Tucson area as NYFC’s new Arizona Field Organizers! Debbie is one of the founding farmers of Sleeping Frog Farms, an extremely successful young farmer & farm education operation serving southern AZ. Jeff is a professor at Northern Arizona University and is also founder of the newly formed Flagstaff EcoRanch for sustainable living and education. 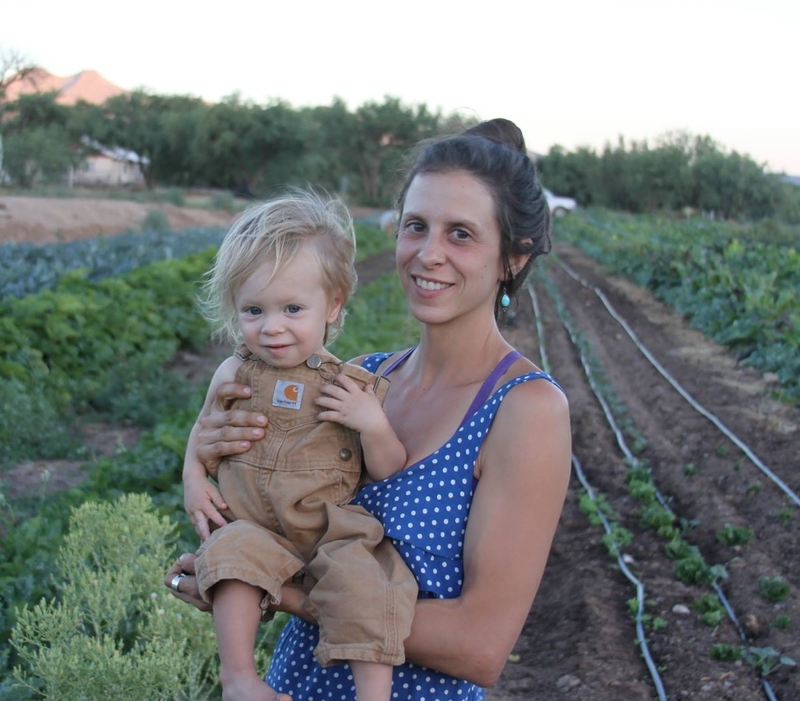 The Arizona organizer position was developed to engage and organize young and beginning farmers across the state and to work with state policy decision-makers around both beginning farmer and water conservation issues. Jeff out exploring the beauty of the Southwest. NYFC: We’re thrilled to have you organizing with the Young Farmers Coalition in Arizona! Farmers join up with the national movement with a variety of issues on their mind. What brought you to working with NYFC? What part of the coalition’s mission first caught your eye? Jeff: I was really impressed by NYFC’s accomplishments. When I heard about the AZ organizer position, I saw this as a great way to get involved in making change, building farming networks here in AZ, and helping to carry on NYFC’s mission. Debbie: As young and beginning farmers ourselves, my farm partners and I have struggled with a lack of land and financial resources available for first generation farmers. It seems to me that farmers should be able to achieve financial security for our own families, especially given the economic risks, physical demands, and incredible community benefit involved in a livelihood of commercial food production. Developing networks of farmers is an important way to demand food and farm policy that benefits our nation’s small farm families. NYFC: Was there a particular issue that first got you interested in organizing farmers? What was it? Debbie: I’m very passionate about existing farmers helping to educate a new generation of farmers. Two years ago, our farm co-founded a non-profit called FERN (Farm Education Resource Network), which is dedicated to educating and growing a new generation of food producers in the desert Southwest. Developing a new non-profit has been a whole lot of work (especially for us full-time farmers, who have very little time to spare), but we officially received our 501c3 status this past Spring, and we plan to move forward with our first FERN apprenticeships this year. Jeff: Not particularly. I guess through teaching environmental science, food politics, and activism courses at the university, it just made sense to get involved and get people motivated. NYFC: In addition to being rockstar organizers, you’re both farmers, right? Tell us more about your farms! Jeff: We sit on 1.6 acres located 7400’ at the base of the San Francisco Peaks in one of the coldest places in Flagstaff and just started in September 2012. I have also never farmed before. So not only is my learning curve pretty steep, we will be facing many environmental challenges as well. Despite those challenges, we are growing lots of cold tolerant varieties of roots, greens, and legumes that are doing great. Debbie: Yes, I sure am. I’m one of four co-owners of Sleeping Frog Farms (along with my husband, Adam, and our two good friends, CJ and Clay). We started the farm in 2008 on a ¼ acre piece of property in the flood plains of suburban Tucson. In 2010, we moved to a 75-acre piece of property along the San Pedro River, an hour east of Tucson. Currently we farm fifteen acres of Certified Naturally Grown vegetables, which is the heart and soul of our operation. We also run a flock of laying hens and a small herd of dairy goats (whose milk is a key ingredient in our handmade herbal goat’s milk soap). We grow and distribute our farm products year-round through Tucson area farmer’s markets, our Community Supported Agriculture program, Tucson’s local coop grocery store, and about fifteen Tucson-area restaurants. As far as the future goes, we’re focused on continuing to grow and expand our production. We constantly dream of that financial “sweet spot”, where we have enough cultivated acreage to pay our bills, to afford living wages for ourselves and our employees, and to remain a strong economically sustainable business in our community. NYFC: How did you first get involved in farming? Debbie: I was a Midwestern suburban kid who grew up totally obsessed with homesteading. When I went off to college, I was lucky enough to attend a school that was focused on producing as much of its own food as possible (Warren Wilson College in Swannanoa, NC). I was so inspired by their model of small-scale food production, and could really see it working to supply much of the food needs for our entire community. After college, I moved to Tucson and got involved in social work. Many of my clients suffered from health conditions directly linked to poor eating (thanks to the cheap food produced by our country’s industrial food system). It was then that I had a food epiphany, quit my job, and learned to farm. Oh, and then I fell in love with a farmer, so that kinda sealed the deal. Jeff: I first got involved in farming through the WWOOF program. I spent 3 weeks in Czech Republic and 4 months in South America (Argentina and Chile) working on sustainable, organic farms. Many classes also inspired me in my graduate program at Northern Arizona University. NYFC: Any words of advice for other young or beginning farmers out there? 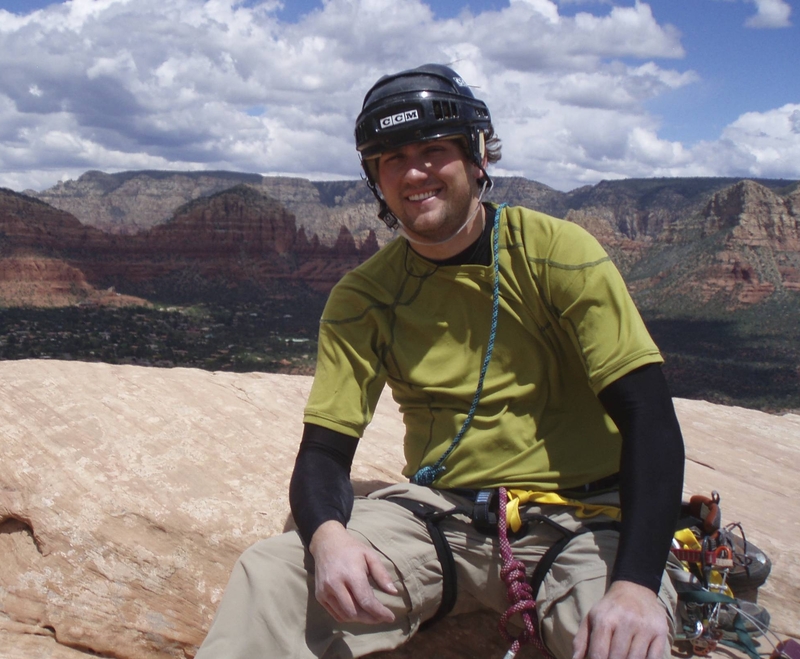 Jeff: It’s been an uphill battle and a challenge on many levels, but the benefits are amazing. Continual learning, being outside, building a stronger connection with nature, meeting great people, and eating fresh food while you work. What could be better? Debbie: Take lots of pictures. Document everything. Laugh at yourself. Enlist the help of your friends and family. Don’t become bitter (no one likes to buy their carrots from the bitter guy). Don’t get hung up on all of your failures, but learn from them (because they’re usually expensive). Remember to eat. Take a day off, at least once in awhile. Develop a brand that people can recognize. Don’t undercut your fellow farmers. Don’t undervalue your own product. Focus on what you do well. Treat your farm as an evolving organism. Put your head down and work, but remember to look around you and be grateful for the opportunity you have to work outside, to be your own boss, and for the role you’ve chosen in your community. NYFC: Great, well thank you both so much. We are all looking forward to great things coming out of Arizona!